Stephanie Corvino is a real estate professional serving the Santa Clarita Valley. She has years of experience in real estate and has helped many home buyers and home sellers in the process. Offering high quality service from the first meeting all the way through close of escrow, Stephanie takes the time to insure buyers and sellers understand the real estate transaction process completely. Her professional yet friendly demeanor and 'win-win' attitude insures your home purchase or sale will be handled in the best manner possible to achieve the best results that suit your real estate needs. 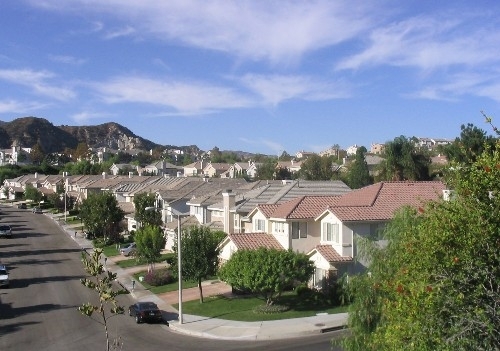 The Santa Clarita Valley is diverse in its culture, lifestyle and amenities. Offering a variety of home styles to choose from, many people from all walks of life settle here, and for good reason. It's selection of schools, shopping recreation, and being within commuter distance of metropolitan Los Angeles are just a few good reasons why people move here. The Santa Clarita Valley is a great place to raise a family and to achieve a high level of well being and quality of life. The Santa Clarita Valley is comprised of several communities: Valencia, Stevenson Ranch, Saugus, Newhall, Canyon Country and Castaic. Outer lying communities in the valley consist of the ranch communities of Agua Dulce and Acton. The total area of the City of Santa Clarita (encompassing the communities of Valencia, Newhall, Saugus and Canyon Country within the city limits) is 56.8 miles and is the 4th largest city in Los Angeles County. Stevenson Ranch, Castaic, Acton and Agua Dulce, while residing within the Santa Clarita Valley, are not part of the city itself. Are you ready to take your first steps toward your real estate dream? Click here to get started.